Top 10 ways to grow your blog! In this post I show you ways how to grow your blog organically and to take your blog to a new, more professional level. These are all ways that I´ve learnt along the way and I hope they help you to grow your blog! The most imporant thing that I´ve learnt is to make solid connections. Be it with your readers or fellow Bloggers. Not only will your blog grow, you will have fun while doing it! When I started blogging, I realised that some Bloggers that I followed here in Spain, where I live, did not reply to the comments of their followers. At first I thought that this was the norm but the more I investigated it and learnt about blogging, the more I realised that it was indeed good etiquette to reply to comments on your blog. Side note: I started to blog in both English and Spanish because I wanted to share my recipes with the people here in Spain too. Since then I´ve realised that my main target market is English speaking people, in English speaking countries. Blogging in two languages is also very time consuming and complicated but that´s a post for another day..
Ok so let´s get back to my point.. if you have tens of thousands of followers that comment on your blog on a daily basis, it would be difficult to reply to all the comments, but if that´s not the case, I would kindly suggest that you reply to your commenters and treat them with respect and kindness. These people could become your greatest blogging friends.. your greatest allies in a world that can be very competitive and sometimes downright nasty..
For me this is the part I enjoy most about blogging, connecting with other like minded people that I never would have met otherwise. Trust me, connecting with your audience is vital to the growth of your blog. This is also where you learn what the likes and dislikes are of your readers and what posts are more popular. Be kind and generous with your comments and information. Blogging is not a game. If you do it, it´s because you love it. Add value to your readers by helping them in some way.. don´t be aloof and try to put yourself on a pedestal..
Top Tip: make sure your readers know when you´ve replied to their comments. There are a few plugins that could do this, the one I use is the “Send email only on reply to my Comment“. This way your readers wouldn´t need to return to your site to see if you replied to their comment but would receive an email to notify them. In short, make sure that every blog post you write solves a problem for your readers, something they´ve been searching the answer for. Something that makes them come back for more..
Who else but other Bloggers will understand what you go through on a daily basis.. In real life if you tell someone you blog, they look at you in a strange way that says.. “you blog.. that´s it.. that couldn´t possibly be all you do.. it´s not even a real job, is it..!?”. Heard of FoodBloggerPro? They´re an awesome place for Foodies to meet and to learn the in´s and out´s of Food Blogging. Seriously you can learn everything there! Blogging can get very lonely and there´s nothing nicer than to connect with other Bloggers in other parts of the world, learning from eachother and encouraging one another along the way. I´ve met and made friends with some really nice people. This would never have happened if I didn´t blog! It´s also very good for SEO (Search Engine Optimization). Now don´t go spamming and make sure that your comments are adding value. People (especially Bloggers, because they see it often..) can detect if you´re honest or just commenting with the hopes that you´ll be spotted on their site..
Share something of yourself (personal) now and then on social media too. Your followers want to see who the real person is behind the blog.. don´t over do it though. I normally share something of myself or of my family, 1 out of every 20 posts or so. Don´t just share your posts but share posts of other Bloggers in your niche too. In turn they will do the same for you. In this way so much more people get to see your content. Be a positive voice on social media and on your blog posts. There are loads of negative, unkind people out there. Don´t be like them! Be kind. What a great gift to be able to add happiness to someones day, you never know what they are going through on the other side of that screen..
Ok so let´s get more specific.. let´s look at your Instagram account for example. It´s true that Instagram won´t bring in much traffic to your blog but what it could help bring in are those sponsorships. The more followers you have on Instagram, the more influence you have to go to a Brand to suggest that you work together. Numbers show that people like what you´re sharing. Keep your feed cohesive, the same style and look throughout. Only use good photography. If your mobile doesn´t take good photos, use a proper camera and transfer your photos to your Instagram account. Use your location to add your blog name or the url of the post that you´re posting. Scratch that! If you´ve updated to the latest Instagram version, this option is no longer available. Naughty, naughty Instagram! Use your description wisely. Add as much detail and make it catchy! This is where people learn more about you. Be consistent by posting regularly. Make sure you like and comment on the feeds of the people you follow too. Use hashtags wisely. Only use hashtags that descripe the items in the photo and also general ones in your niche. I for example nearly always use Yummly, Tastespotting and Foodgawker when I post anything food related. Then I would for example use #cake #chocolate #chocolate cake #chocolate layer cake #layer cake if I´m sharing a chocolate layer cake. Search for hashtags in your niche, for example #foodblog, then click like on the photos you like and also comment on them. This a sure way to get new followers. When you follow someone check if their follower count is more or less the same than yours, a little higher or lower is what you´re looking for. Don´t follow accounts that are much higher because the chances are that they´ll follow you back is slim. However if it is a account of a person you love and look up to, by all means do it. Follow at least 20 new followers each day. Make sure to follow people that have around the same followers as you. There is a much better chance that they will follow you back. Pinterest is one of the social media platforms where I suggest that you focus your time on. If you don´t have much time for social networking, then this is where you want to put all your eggs in one social media basket. It´s simply one of the fastest growing social media platforms out there! Why? It´s simple, people love images. Us humans are visually inclined. Enticing images draw people to want to see more.. The way to be noticed on Pinterest is to make sure your images are of a great (no scratch that.. A-M-A-Z-I-N-G quality) and that you´ve added a clear description with those long-tailed keywords that you searched for in the Google Keyword Planner. When someone pins an image directly from your blog, ensure that the alt tags of your images, include a catchy description with keywords that draws attention and makes people want to visit your site to see the post. Make sure your images are vertical and are according to the Pinterest standard size which is: 735 x 1102 pixels. Also use well descriptive text on your images, where possible, because it helps fellow Pinners see what it is in the image.the image is about. Big tip: before you upload the images onto your media file, make sure that they contain keywords that you would like to be searched for. Don´t upload an image as for example: img2034.jpg. This wont help the search engines to find you..
Join group boards on Pinterest in your niche market. This is a way to share your content to a much larger target market. See this post by the PinJunkie where she shows how to be invited to group boards on Pinterest! I use Tailwind to schedule my pins. 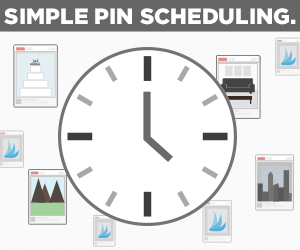 When scheduling pins make sure you share 50% of your content and 50% content of other Boards/Pinners you follow. Social Media is all about sharing. No one likes someone that is only advocating their own content. I have written on the subject of SEO before. Twice to be exact. In this post you can see why I use the Yoast SEO plugin in WordPress to help me implement SEO on my posts and pages. In this post, I share my secrets of how I do my keyword planning of those long-tail keywords, to help Google and other search engines to find me. Joining other Facebook Groups is a great way to connect with other Bloggers. I have joined numerous groups where I share links to blog posts that normally wouldn´t get as much exposure if I weren´t able to share it on these groups. Just search for groups in your niche market, there are loads out there! One of my favourite groups in my niche is Food Bloggers Central where I get to learn so much about Food Blogging from other amazing Food Bloggers. I also love connecting with the ladies in Mom Resource Facebook Group, where I get to connect with other awesome Mom Bloggers! Now perhaps you think that this point is a given. Ofcourse a blog should have easy navigation! It should, yes, but not all blogs do..
What should a blog have to be classified “easy to navigate”? In my opinion it should flow easily and you should be able to get from one page or post to another, effortlessly. A must have is a home button on each page of your blog so that your readers can easily go back to your homepage. 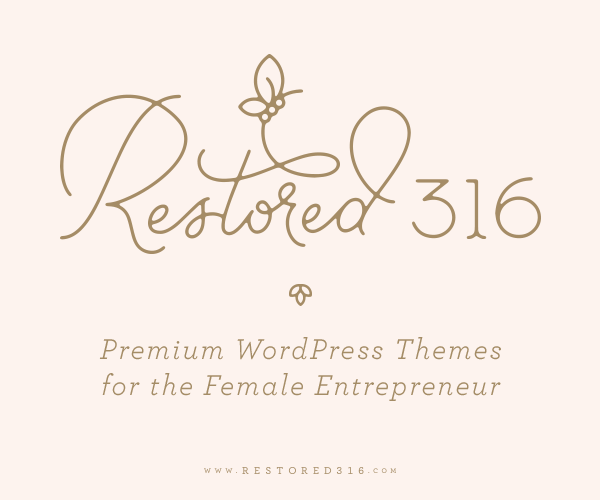 Like this pretty, easy to naviate and clean design I use from Restored 316 Designs. It is also important to add various ways for your readers to optin on your site to subscribe to your newsletter. When creating an optin, it is important to add a free gift to entice your readers to subscribe. People love anything free! However, make sure your optin is worthit. I have 2 free giveaways on my optins. One being a free “Cupcake Recipe eBook” with 5 of my most popular cupcake recipes and the other my “Top 10 Baking Tips”. Both of these free optins are available as pdf downloads. 1. One in the form of the many contacts bar on the top of my site. 2. Another in form of an embedded webform at the end of each post, just before the comments section. 3. Then I have a pop-up optin set up with the Add This plugin. I´ve set this to pup up every 21 days only on the same IP address. 4. On the right side of my blog, underneath my social media icons, I have an optin that is part of my original blog design. Get this amazing resource to grow your blog! Make sure that whatever camera you use, be it your i-phone, a digital camera (point and shoot) or a DSLR, that you know how it works and that you understand all its features. This is vital! There are loads of free tutorials on YouTube or you could do a course on Lynda.com. You can edit your photos in Canva or PicMonkey. I personally use Canva for my basic editing needs and then Photoscape for bulk editing (see image below). The bulk editor allows me to bulk edit the size of my photos in one go. In her eBook: Buikding a Framework, Abby Lawson from JustaGirlandHerblog.com shows you how she edits her photos in PicMonkey. Her step by step screenshots are super clear and helpful. So if you have been wondering how to edit your photos in PicMonkey, I suggest you buy her eBook. Nagi from Recipe Tin Eats recently launched her The Food Photography Book and I´m loving it!! Oh man I learnt so much in just the first few days from opening it! Nagi grew her blog from 0 to 1 million views within just 8 months!!! This girl knows her stuff and her food photography is amazing! Check out this post why I love taking my photographs in natural light or this point where I show you in detail how the Rule of Thirds works in food photography. I generally try to do one recipe (normally a dessert recipe) post per week. Then I also try to post an informative post on blogging, photography or diy in the same week. When I´m not at home, travelling somewhere or the kids are at home on vacation, I normally only manage one post per week. The idea is to try to be consistent with your posting schedule and if possible to have posts scheduled beforehand in case of illness, travel, etc. I´m still trying to be that organized person *smile*. This is the year that I´m starting an editorial calender! Pinky promise! Don´t just post anything to get something out. Make sure your content is quality, unique and something that adds value to your readers. Make sure the post is well written. To be honest, this is the part where I struggle the most! I´m not a Writer by nature.. but the more I write, the better I´m getting at it. And the more you write, the better you will get at it! Before you know it your writing skills will have improved drastically. If you still need help with your writing, you could get a Copywriter to help you. Good written content is super important to grow your blog! Draw your readers in with a super catchy post title! For example, if a post is titled “Pumpkin Pie” the chances are that you won´t rush to check it out because there are probably loads of posts of the same title.. but.. if the title said something like “SIMPLY THE BEST PUMPKIN PIE OUT THERE”, I´m pretty sure that it would catch your attention immediately! However, do make sure that you search for those long-tailed keywords and then combine them to come up with a catchy title to capture the attention of your readers! The most important advice I can share with you is to be YOU! Find your own voice and share that voice with your readers. Don´t try to immitate other Bloggers. No one can be you and you are the reason why your readers will keep coming back for more. Side note: I´ve also written a post on how to start your own dessert blog and also how to write a blog post. I know that both of these posts will be of great benefit to you because I share valuable things that I´ve learnt along the way and I know if I had this advice earlier on, I would have been able to grow so much faster. Also, let me know in the comments section what topics you would like to learn more about and I would happy to share what I´ve learnt on it with you all! Oh and one more thing, there are affilate links in this post. If you click through and then buy something, I will earn a small commission. Blogging takes many hours and this is a way for me to continue blogging and to share everything I´ve learnt with all of you. Thanks Johlene for such a wonderfully informative blog post! So many think that being a blogger consists of writing one post that goes viral, and then you’re set for life. While I wish I could get that lucky, most of us do not, and I think these types of things are super important to talk about-the hard work that goes into blogging. Connecting with other bloggers has been my lifeline. So many have such incredible inside tips, and are just waiting to help a fellow blogger out. Beautiful post, Johlene. Blogging and especially marketing your blog can get overwhelming at times. I’m six months into blogging and I’ve been learning about all the marketing stuff everyday. I think at this point the biggest thing that has helped getting real followers was consistency. I don’t know what happened to Pinterest, but if your account itnot big already, it’s really hard to get noticed. Do you have any tips for how to get accepted to bigger boards that have lots of followers and also a high repin rate? Thanks Johlene. I never knew about the Pinterest scheduler: I’ll get right onto that! Thanks Lisa! Tailwind has my life so much easier! I bulk schedule my pins once or twice a week and then I´m set. I do however do repins from my phone a few times a day to keep MY boards fresh and exciting. I know I’m a little late to the party here, Johlene, but I just wanted to thank you for this post. It’s super helpful for a beginner like me. Great tips – wish I could afford the photography book. Maybe I will add it to my Christmas list. Thanks for sharing on the #HomeMattersParty . I hope you will join us again next week. As a new blogger (or, new to blogging in this century, anyway), this is super helpful! Thanks for all the great tips! I have been blogging for some time but these types of articles are still helpful. I always make sure to comment back to people! Thanks for the tips! Thank you for sharing! I’m trying to absorb as much of this as I can. You brought up some more unique advice that I haven’t seen in many of my searches for blog growth, including the specifics with Instagram. Thanks, again! Thank you so much for your help. I noticed on #10 you said you aren’t a natural writer. I love the writing part, but don’t enjoy all the other aspects. My goal is to be a writer, and everything besides writing seems so tedious, especially social media. But I don’t know how to become a (paid) writer without doing all the extra stuff. Do you have any tips for this type of situation? I’m not sure if I am even going the correct route. Btw, if you ever need any copywriting help (in English), I’d love to help! I am considering doing this freelance and would love to help you free of charge. You´re so welcome! I hope some or all of these tips help your readers! Very nice share, I’ll try to work on these tips to make my blog successful as yours, thanks Johlene. I tried it on my FB profile and it doesn’t work! Not sure if I’m doing something wrong.? Thanks for the tips. I love reading new things to help me improve my blog! Very helpful advice. Thank you so much for sharing this! Awesome tips Johlene! I love Tailwind and you are right, Pinterest loves consistency. Thanks for the tips!! Thanks Raquel! Tailwind does help alot! Thank you for a very valuable post. Having read several on growing a blog I was actually surprised by how many new and good ideas I found here. I will start using them tomorrow. I hope that I can be as helpful to others. Thanks again. Good Evening Johlene, I loved this article, it was packed with so much information…. some I don’t quite understand, but that’s ok, blogging is a learning process. I agree with your point about answering comments. I always try to reply and I have built a lovely relationship with friends from all over the world. I love blogging, and although Ivy, Phyllis and Me! isn’t a high profile blog…. I love that so many friends from around the world enjoy my content. Thank you so much for your kindness in sharing this information…. I am going to be reading and re-reading this information. Having just started my own blog, I am struggling. This is so helpful! Thanks so much for this post! My blog is 3.5 months old and my goal for this month is 5000 views. I love these posts because they really encourage newbies like me. So much is trial and error, but when I can read what has made you successful, it really makes me want to do even more! I’m just learning about Pinterest, and can’t seem to figure Instagram out. lol. My views are doubling each month, and its because of this group and the other facebook bloggers and my readers that are helping me grow! thanks for summing up such a bunch of super useful tips! I am bookmarking to work through some of the things I am not doing so well as you outline here! I love reading posts like this because it is so encouraging to other bloggers. You have some great tips! Thanks for sharing! Johlene, thank you for sharing these tips! I’m trying hard to follow them all, although sometimes I am frustrated that the only time I have at the moment is for producing good content. And I was pleasantly surprised that English is your second language. I mean, you write so beautifully! English is also my second language, btw. My mother tongue is Indonesian. fantastic tips, thank you for sharing such a gold mine of information for bloggers ! Lindsay and Bjork are amazing. And so humble, too. The info they offer is priceless! I agree 100%! I love humble people! An interesting read, bookmarked for later to digest further. Thanks for all these great tips and ideas! Wonderfully detailed! Johlene, this post was very detailed and packed full of great advice!! It can be overwhelming trying to figure out where to spend your time when it comes to blogging. I definitely feel your tips are all spot on!! Johlene, this was an amazing post. And you’re absolutely right, you can’t copy someone else’s style… you have to be you. I see so many bloggers getting trapped into this because they are stuck on analytics. When you’re free of that, I think it will help most bloggers. I loved reading this girl. You’re so right Kia.. analytics should be used as a measure to improve, not compare..
Great tips, and ones that are so easy to overlook in the rush to get everything done. Thanks for the reminder. These are all great tips! So interesting to hear everything from your perspective! I need to go find your peanut butter and caramel cupcakes with M&M’s now … LOL! Great tips. Especially loved the Instagram advice. Bookmarking this one! Great tips for blogging! I am going to check out the Add this plugin you are referring to in the post. Trying to figure out the best way to engage subscribers. Great Renee, I hope you find value in the 2nd article too! Such a great list with practical, valuable, and actionable tips! I updated Instagram instantly and they no longer let you add a custom URL or text in the location bar. So bummed – wished I hadn’t updated! etter update the article then…. bummer…. :-/ Thanks for letting me know Steph! Everyone needs reminders. We all get caught up in the ordinary things we have to do. Thank you for the tips. I really love these kinds of posts where bloggers share their successes (and maybe even failures with other bloggers). I just want to soak up as much information as I can and these are all really great tips. I know the thing that has helped me the most has been connecting with other bloggers. As you say it can be a very lonely and isolating path, so it’s really nice when you can meet and chat with other people who are going down the same road. It’s also nice sharing with people who understand the frustrations the go along with blogging because I think it’s difficult to really get it when you’re not directly involved. Great caveats; all sensible and easy to implement Thanks so much for sharing this one!! Thanks Samantha…I know instagram gets a bad wrap to bringing people to our blogs but it definitely worked this time. A lot of content so thank you! These are great tips Jolene! I really need to start learning more about scheduling my social media. Connecting with other bloggers has been so helpful to me and has kept me from giving up many times. Moms Resource is an especially supportive group and I am so happy to be a part of it!